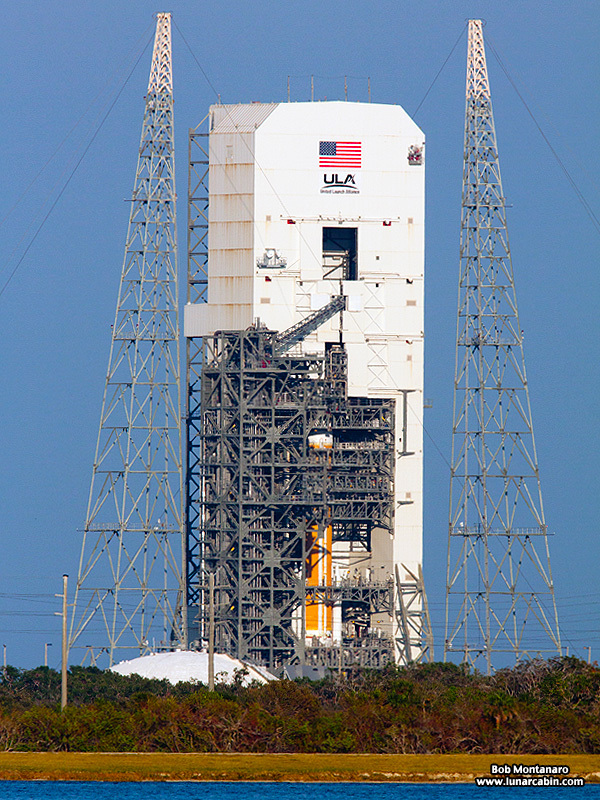 The orange common booster core of the Delta IV rocket for the WGS-8 mission can be seen at SLC-37 surrounded by the Mobile Service Tower and the Fixed Umbilical Tower a couple of weeks before launch. Four solid rocket motors can be seen strapped to the bottom of the rocket to provide added lift. 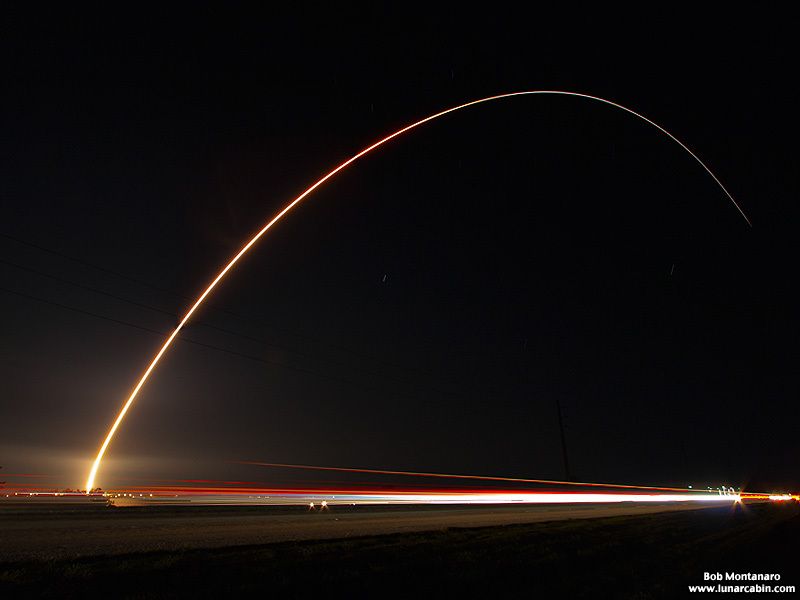 A time-exposure of the WGS-8 launch shows the rocket arcing over the horizon while cars streak by on a busy road.